Newly constructed home in very convenient mid city location. walk to schools, shopping, etc. 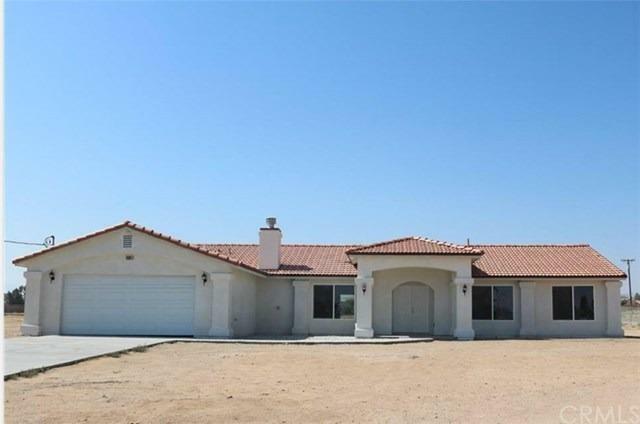 Open floor plan, 4 bedrooms, granite counters, tiled roof, tiled flooring, covered patio, corner fireplace. Fully fenced 1/2 acre lot. Paved corner lot. NO Mello-Roos. Natural Gas Appliances. Separate tub and shower in master bath, with double vanity and giant walk in closet. Directions: Exit I-15 East On Main St Hesperia, South On 9th, To Corner Of Willow, Turn Right.